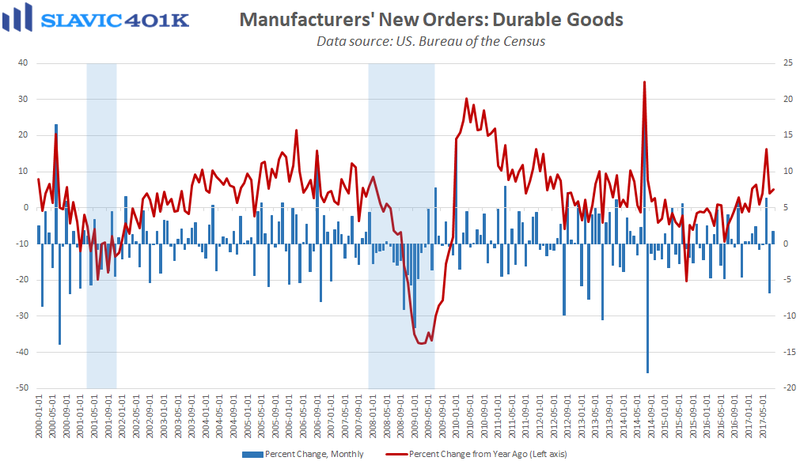 A new report from the Census Bureau showed that orders for U.S.-manufactured durable goods (items meant to last at least three years) rose in August by $3.9 billion (1.7 percent) to $232.8 billion. That was a larger increase than expected and helped by gains in orders for communications equipment, motor vehicles, and civilian aircraft. 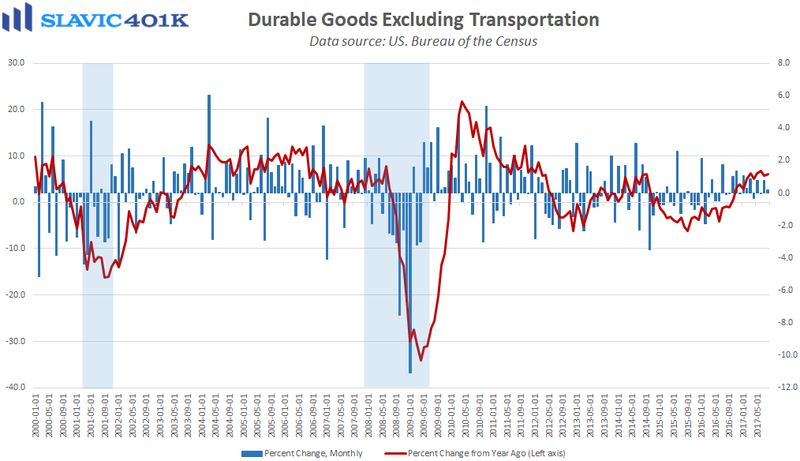 “Core” durable goods orders, which exclude the volatile transportation component, were a bit weaker in August, lifting by only 0.2 percent, but orders for nondefense capital goods excluding aircraft, i.e. 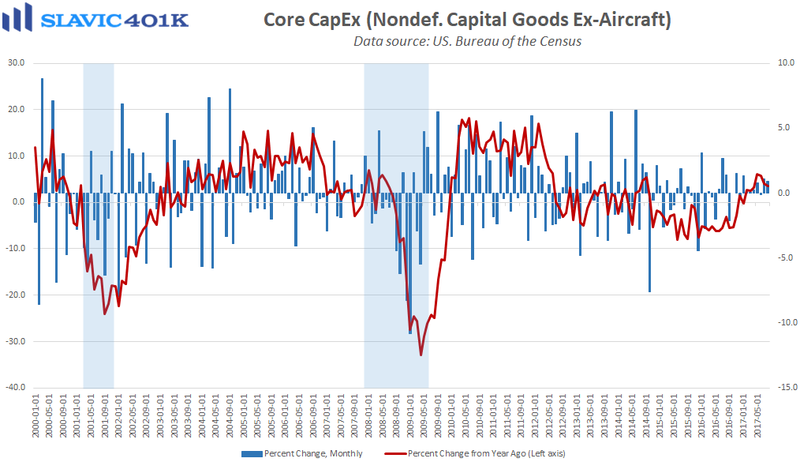 core capital expenditures, an important proxy for U.S. business investment, jumped by 0.9 percent, three times the anticipated gain. 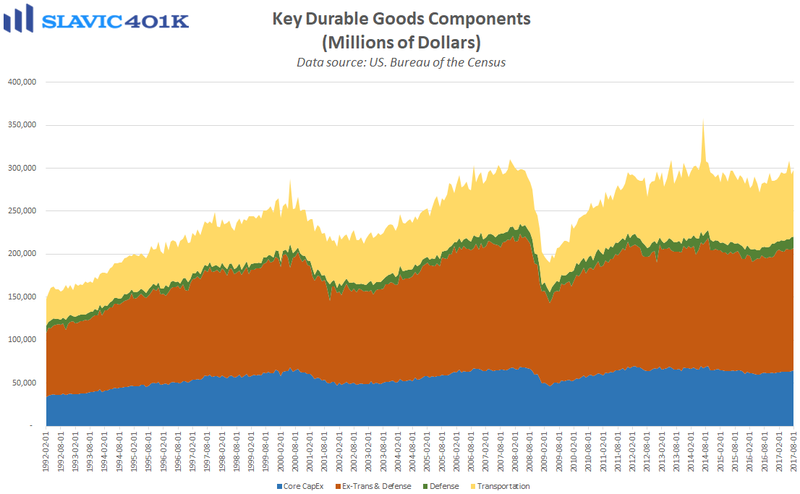 Shipments of nondefense capital goods excluding aircraft, used in the calculation of gross domestic product (GDP), also increased by more than forecast in August.